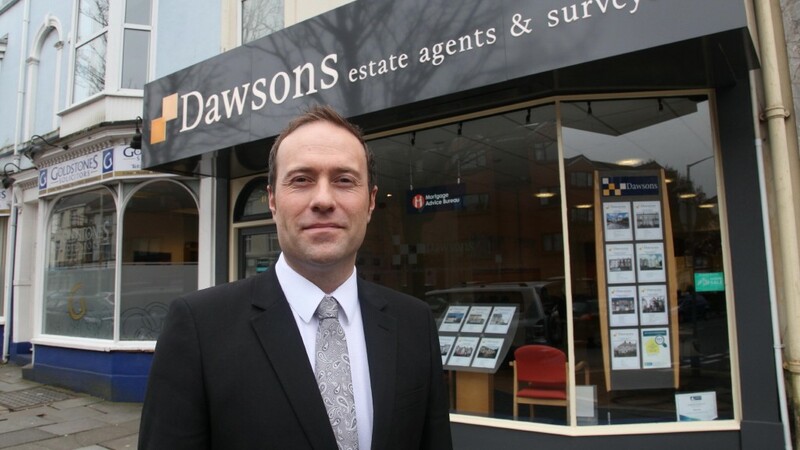 Swansea’s largest independent estate agent Dawsons has even more reason to be delighted to act as Preferred Agent for Hale Homes, who have an award winner in their team. 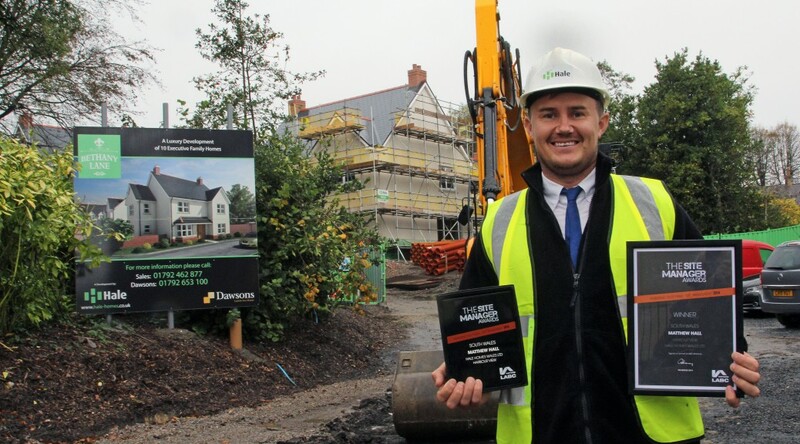 Matthew Hall, Site Manager at Hale Construction, finished runner-up at the prestigious LABC Warranty National Site Manager Awards 2014. Matthew was announced Regional Winner of the LABC (Local Authority Building Control) Awards for Wales, and recently attended the grand finals held on 11th November in London. The latest development managed by Matthew is Bethany Lane, situated just off Mumbles Road. This site is testament to his great work for Hale Construction, a family-run company that now delivers major construction projects not only for themselves, but also on behalf of companies such as Bluestone National Park Resort, Jehu Group and Waterstone Homes. They also build for various housing associations across the south west Wales region including Grŵp Gwalia, United Welsh Housing Association, Coastal Housing Group and Melin Homes. “I’m very pleased to have won the regional award and finishing runner-up in the finals is an excellent achievement too! Attending the finals in London was a great honour, and I am very proud to be part of the team at Hale Construction,” said Matthew, who recently ran a 10k race which coincidentally went past the Bethany Lane site. Matthew raised £350 for Crohn’s & Colitis UK and The Brain Tumour Charity. Bethany Lane consists of 10 individually designed, detached homes of exceptional quality and unrivalled specification. The development has certainly caught the attention of local home buyers as only two five-bedroom properties remain on its first phase release with prices from £625,000. The second phase is due for release in early 2015, which will compriseof a further four individual homes with a bespoke internal build available, depending on build stage at reservation. With easy access to the promenade and just a short stroll from Mumbles, the development occupies an ideal setting. Matthewwon the award for Hale’s prestigious Harbour View development. Located in the SA1 area of Swansea, the development comprises of 30 three and four-bedroom townhouses, which are all now sold. Poplars Drive in Skewen is another current Hale development. The first phase consists of a range of three and four bedroom houses along with two and three bedroom bungalows. Prices start at £179,950. To arrange a viewing at Bethany Lane please call Dawsons on 01792 653100 or Ruth Jones from Hale Homes on 01792 462877. How will the new loan-to-income cap affect first time buyers? Increasing house prices, restrictive lending and rising deposits have all been problems faced by first-time buyers in recent years. So, with the new loan-to-income cap now in place, how are newcomers to the market going to be affected? Here the UK’s leading independent mortgage broker, Mortgage Advice Bureau, reveals how the cap will impact on the currently thriving first time buyer market. “Recent figures released by the Council of Mortgage Lenders (CML) showed that first-time buyer numbers were at a six-year high, showing that a once impossible market has rebuilt itself to become a competitive arena once again,” said Oliver Adair from Mortgage Advice Bureau. Enforced at the beginning of October, the loan-to-income (LTI) cap began when the Bank of England stated that loans over 4.5 times the income of the buyer must account for no more than 15% of a lender’s new lending total. “Affordability remains the most important factor when assessing a potential borrower and every lender will have its own procedures to carry out to determine how the caps are implemented,” added Oliver. 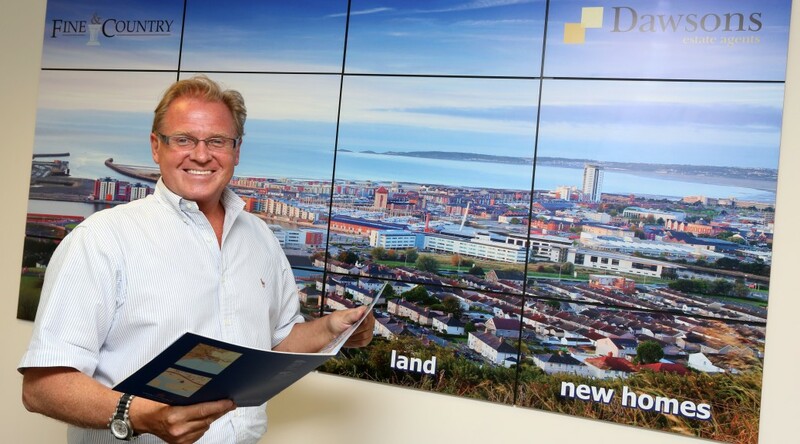 Despite the added regulatory changes, the number of first time buyers rose by 27% in the first half of this year, and with the Help to Buy scheme, increasing employment levels and growth in higher loan-to-value lending, the confidence in the market may potentially overpower any effects the LTI cap will have in the coming months. “The effect of the cap on the market and on the first-time buyer arena in particular will continue to be a topic of discussion until the cap has settled and we can see what difference, if any, it will have made,” concluded Oliver. According to a recent estate agency survey, with interest rates still at an all-time low at the moment, buying a property is still cheaper than renting one. 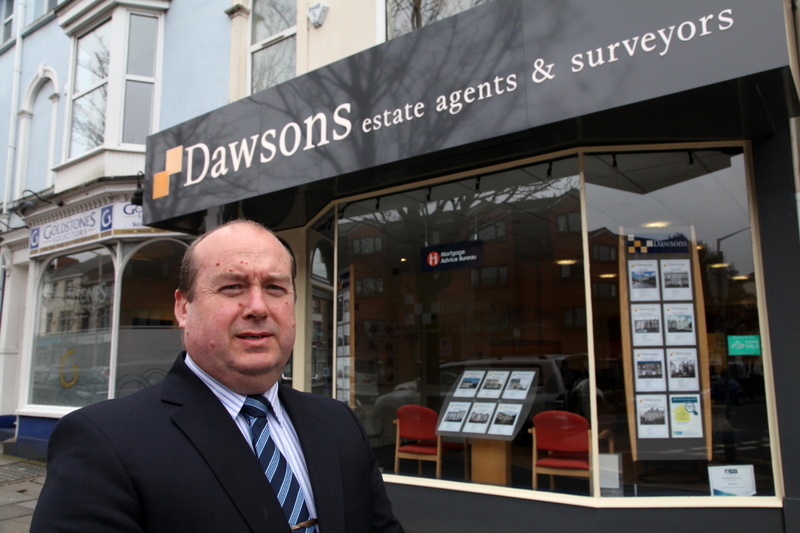 Conducted by Relocation Agent Network, of which independent agent Dawsons is a member, the survey revealed that not only is it cheaper to buy, but you could make significant savings. Relocation Agent Network, a national network of independent estate agents, asked its members whether it was cheaper to buy or rent a property over the course of a calendar year. 87.5% said that it was cheaper to buy. The national survey also looked at the possible savings you could make when buying a property instead of renting. Based on a three-bedroom house, members were asked what they estimated the annual saving was from buying a property instead of renting. Over a third (33.85%) stated that it was possible to save up to £1,500 a year by purchasing a three-bedroom house instead of renting. Are you prepared for the interest rate rise on your mortgage? For the first time in five years, industry experts have admitted that there is a growing chance that we will see a base rate rise within the next six months. And, after the vote was declared ‘no’ for Scottish independence, some have suggested that there could even be a rise before the end of this year, though this remains unlikely. Here the UK’s leading independent mortgage broker, Mortgage Advice Bureau, answers the all-important questions on every homeowner and prospective buyer’s lips, giving you the facts you need to decide what to do with your mortgage before interest rates rise. With these mixed messages surrounding the rise, borrowers are left wondering what would happen if they were to buy a house or remortgage before the end of the year. Considering whether now is the time to fix or remortgage is a question that many are asking in the midst of current market conditions and with rumours of interest rate rises certain to become a reality. 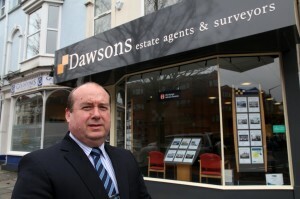 “The obvious answer to that question depends on your individual circumstances and you should always seek advice from a professional adviser when deciding,” said David Treharne from Mortgage Advice Bureau. Those with a low variable rate however, should consider staying with their current mortgage deal if they are able to afford the effect of some of the rate rises to come. According to a survey carried out by Principality Building Society, only 48% of homeowners in England and Wales know what interest rate they are paying on their current mortgage. “Taking this into consideration, it is imperative that you prepare in advance when making the choice on what to do. Find out what mortgage deal you are currently on and what interest rate you are currently paying over how many years. Start this process approximately six months ahead of when you are looking at the possibility of changing, rather than leaving it until the last minute when rates have already increased,” concluded David. There will be a fee for mortgage advice, which is dependent on your circumstances. The fee is up to 1%, but a typical fee is 0.3% of the amount borrowed.